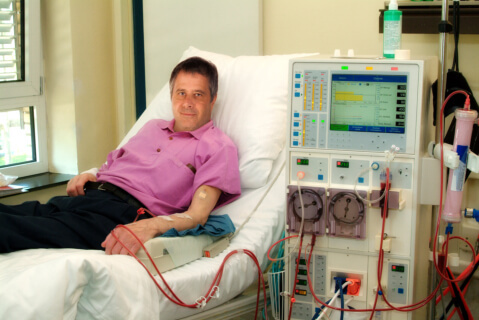 What Can You Expect When You Go Through a Dialysis? Dialysis is conducted to avoid accumulation of wastes in the body, to control the levels of chemicals in the blood, and to help control blood pressure due to inefficient kidney or kidney failure. There are two types of dialysis treatment: Hemodialysis and Peritoneal dialysis. In hemodialysis, a tube is attached to the arm using a needle, allowing the blood to pass along the tube and into an external machine. The machine filters the blood and passes back the filtered blood to the arm and into the body. Missing a dialysis can be fatal. Hence, it is important not to miss any dialysis appointment. Force EMS, a Medical Transportation in Longview, Texas can drive you to the hospital or dialysis center and fetch you up going back home after a dialysis safety. On the other hand, peritoneal dialysis uses the peritoneum, a part of the abdomen, to filter the blood rather than a machine. Peritoneum contains thousands of blood vessels that are capable of filtering the blood, like the kidneys. It is done by inserting a thin tube or catheter through an incision made near the abdomen and into the peritoneal cavity. As the blood passes through the peritoneal cavity, excess fluids are drawn out of the blood. It can be done at home daily. However, it is also important to have your condition checked by the doctor from time to time to avoid developing peritonitis. As such, you should consider hiring a Medical Transportation Services for a safe transportation. While the two dialysis methods are both effective, each has its own risks and advantages. Whichever dialysis method you choose, the most important thing is to never miss any dialysis appointment. Let a Non-emergency Transportation in Texas help you. This entry was posted in Dialysis and tagged hemodialysis, Medical Transportation, Peritoneal. Bookmark the permalink.